Secret Server password management software supports SQL AlwaysOn and Database Mirroring to create a real-time backup of all stored data. Configure your SQL database with a primary, secondary and witness server or use AlwaysOn availability groups to set up automatic failover. With SQL automatic failover, Secret Server offers high availability and data redundancy. A hot backup of the web server and database aids in disaster recovery and limits down time of a vital instance. Database mirroring and AlwaysOn are configured in SQL Server and the failover partner is specified in the advanced setting in Step 3 of the Installer. 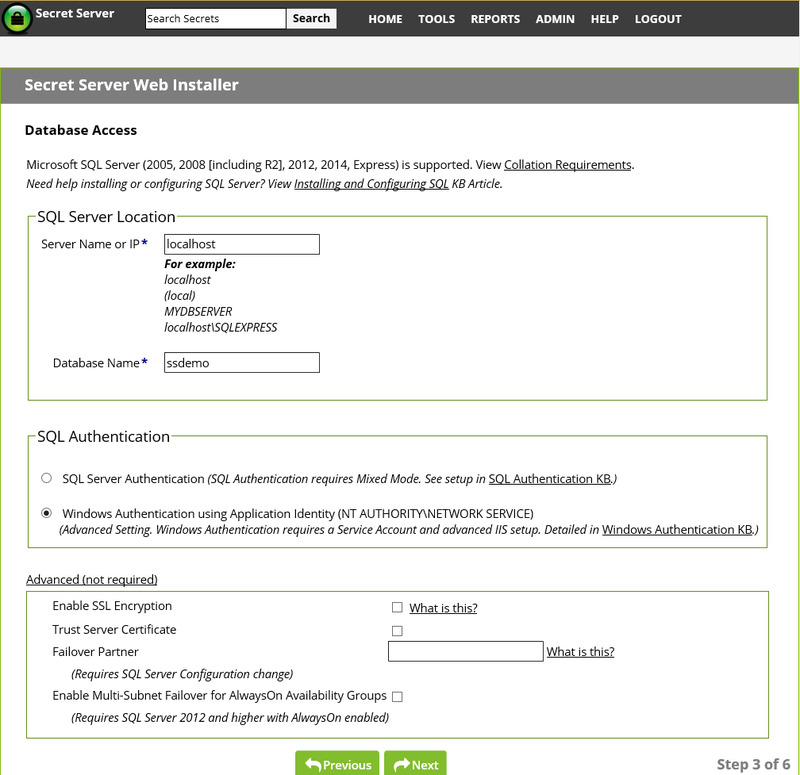 For multiple geographic Sites, Secret Server supports SQL replication through the Geo Replication module. This configuration can be used if each site needs it’s own active copy of Secret Server at all times. If the link between sites goes down, changes are written locally, and then synchronized to the other sites when the link comes back up. Try database mirroring in Secret Server FREE for 30 days by completing the trial form. And check out Secret Server’s other user-friendly features; or visit our Resources section for all the help you could want with secure password management.